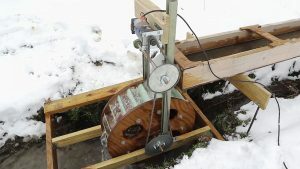 This Video Series shows step by step on How you can provide enough electricity for one house by building a Micro Hydro water wheel electric generator .Not only you will no longer dependent on the power grid, but you’ll have electricity when SHTF and more important: absolutely FREE.Unlike solar panels, a water wheel electric generator can produce electricity 24/7.Simply,the flowing, dropping water is spinning a wheel .The wheel shaft it’s connected to a simple coil generator that produces electricity. If you don’t need electricity you may adapt the water wheel to grind grain, to cut wood, strengthen iron or to sharpen tools. Anyway you choose to use it, a water wheel is an important installation when living off the grid or when SHTF. Next articleDIY Video : How to build a Simple and Efficient Homemade Water Distiller for cheap .Great for everyday use or in emergency/off-grid situations.